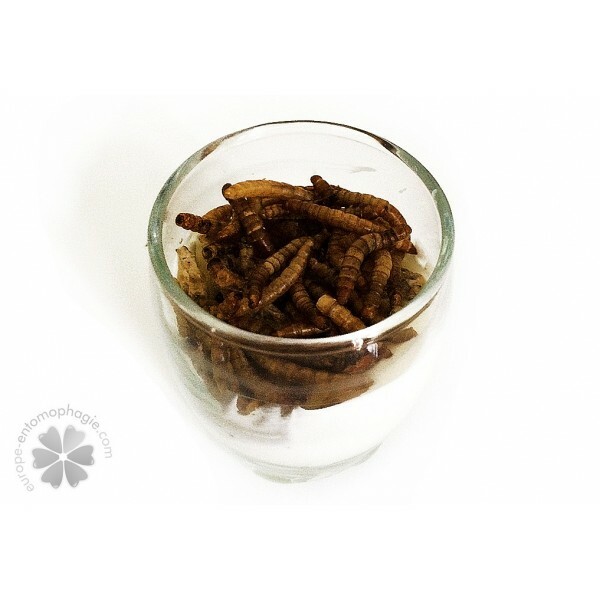 Do you know the most famous edible insects, the mealworms ? 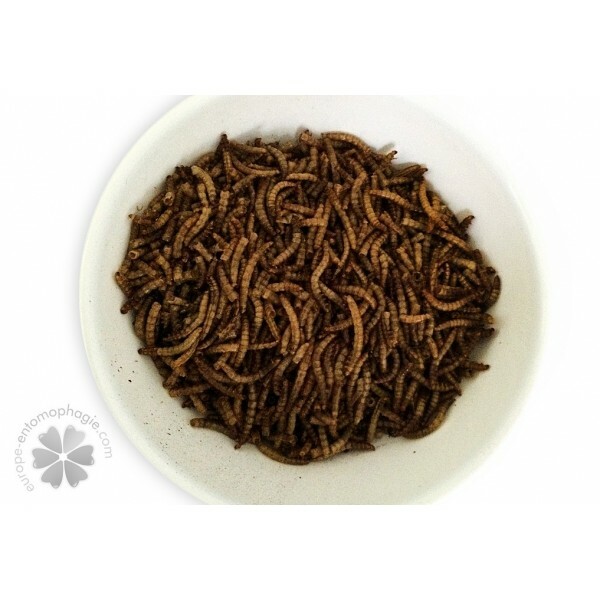 Those worms are actually beetle larvaes that are often found in wheat flour. Bakers named them mealworms as those bugs used to spoil a lot of their precious stocks of flour. 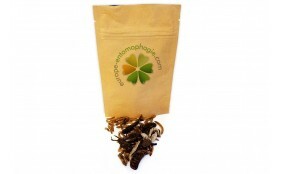 Each package includes about 60 mealworms which are lightly salted. Its shelf life is up to one year. 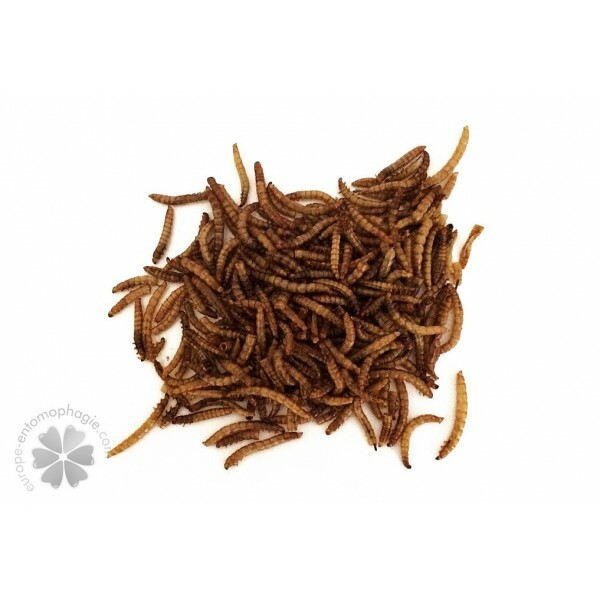 Mealworms may not look very appealing, but they are real vitamin bombs! 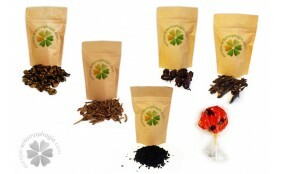 They also contains plenty of minerals and other good nutriments for your body. Those insects make a great substitute for meat as they are full of proteins, but also low fat and low carbs. Now you know a new kind of healthy food and this can help you diversify your healthy diet. Eating mealworms means having fun and staying fit. How great is that? 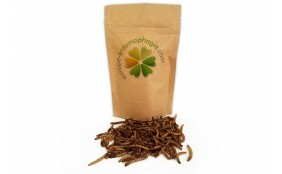 Their name does not sound nice, but mealworms are actually really tasty. You can have them plain, as a snack, or you can add them to your favourite dishes. For example, you can cook them with some vegetables or mix them with pasta. They are also great in pastries. For example, you can replace the nuts of your brownie with mealworms. In that case, they taste like almond. If their appearance really bug you, just dice them or crush them ! 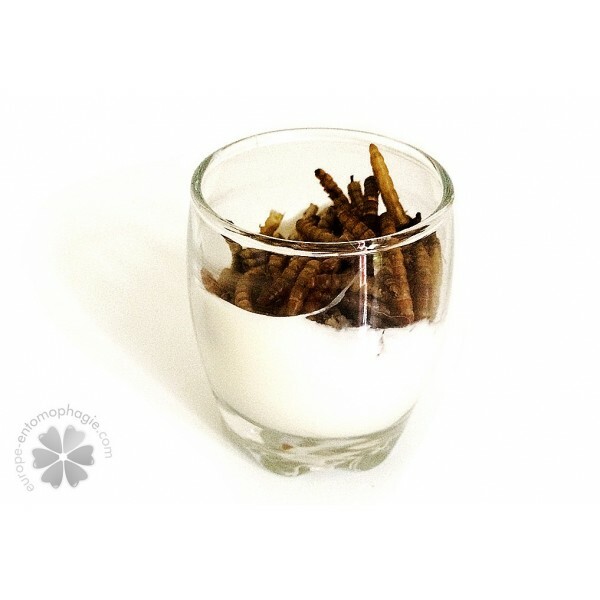 Mealworms can easily replace bacon and ham in many recipes. 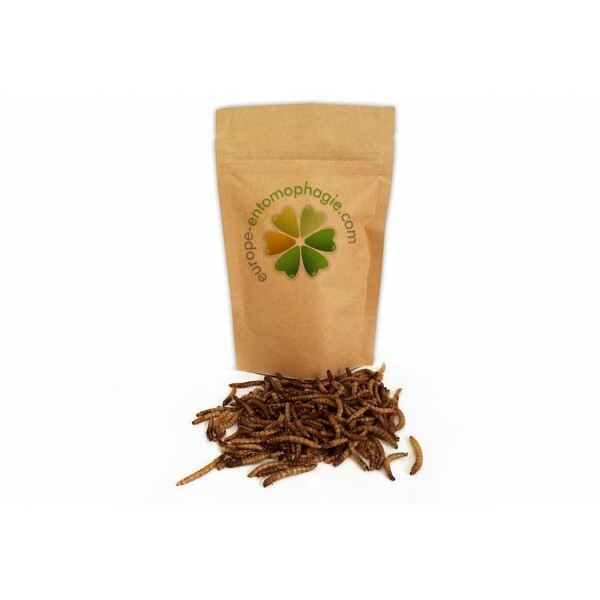 Be adventurous and try mealworms. 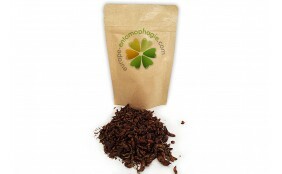 Those edible insects usually have a golden yellow colour and their length can go up to an inch (3 cm). They are a good choice for a first experience of entomophagy. For the (small) price of a package, you will get about 60 worms. You can easily share them with your friends while having a few drinks. 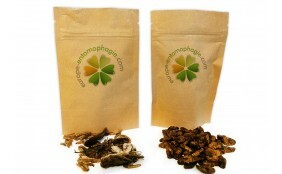 Tasting edible insects is an interesting and fun experience you should share with your friends and family. Quoi ? Je suis le premier à donner mon avis sur ce produit ? Les vers de farine sont pourtant les insectes les plus facilement assimilables dans notre alimentation. Je vous conseille à tous de les essayer !